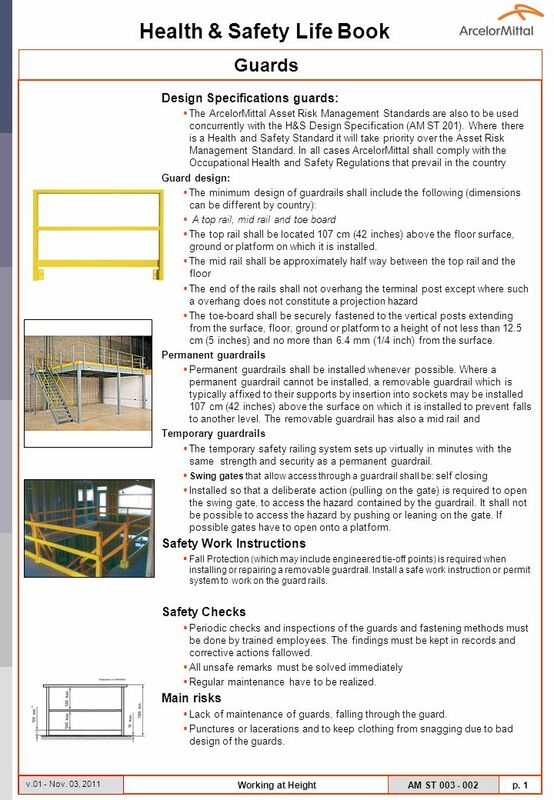 Download ppt "Guards Design Specifications guards: Safety Work Instructions"
Working at Height - Ladders. 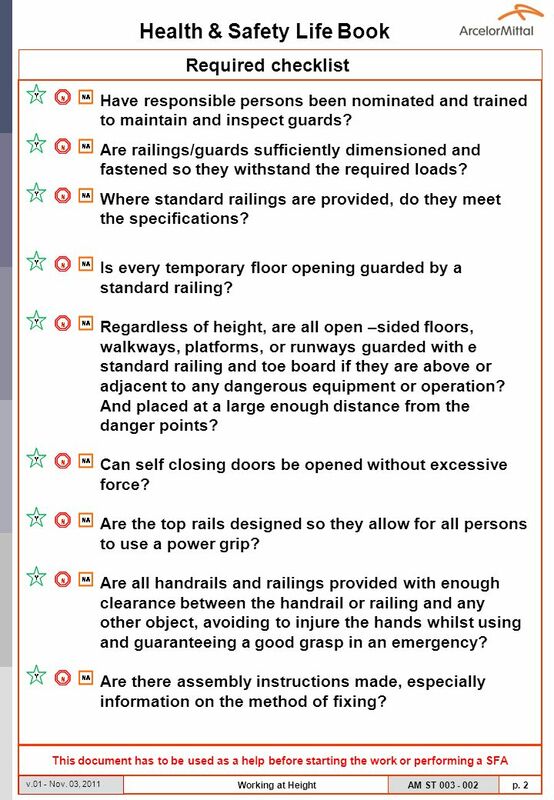 Legislation The Work at Height Regulations 2005 Ladders can be used for short duration work when: the risk assessment shows. Occupational Health and Safety Program Fall Protection For General Industry. Subpart D Test Circle the appropriate answer and locate appropriate standard Question Standard An opening in the floor is considered a hole when it is. By: Chou Lor, Safety Coordinator Fall Protection.